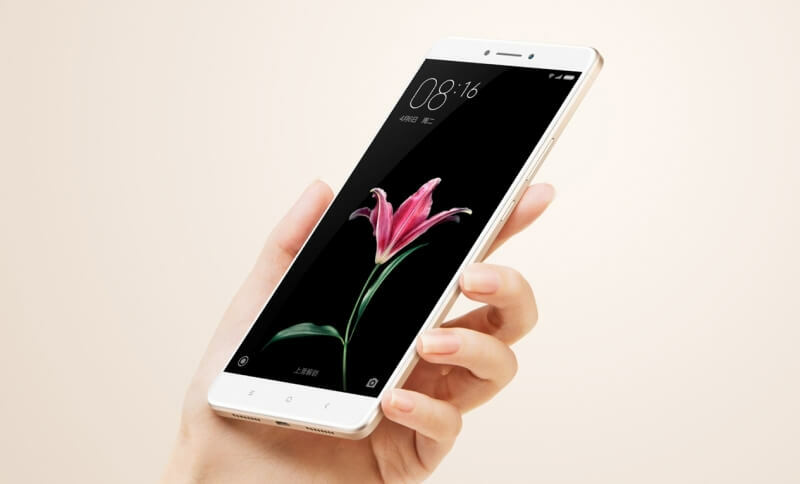 If you're a fan of smartphones with enormous screens, you may want to check out the latest device from Xiaomi. The Mi Max, which is now officially out in China, features a monstrous 6.44-inch display. Despite its size, Xiaomi insists that the carrying Mi Max won’t feel like you’re holding a tablet and claims it will fit inside your (quite spacious) pockets. The body measures 173.1mm x 88.3mm x 7.5mm and weighs 203 grams. For comparison, the S7 Edge measures 150.9 x 72.6 x 7.7 mm and weighs 157g. Powering that large, full HD display is a huge 4850 mAh battery. There are a few configurations available; buyers can choose models with a Snapdragon 650 or 652 CPU - powered by six or eight Cortex A72 and A53 cores - and 3 GB or 4 GB of RAM. The Mi Max also comes with 32 GB, 64 GB, and 128 GB storage options, a 16-megapixel rear camera, a 5 MP front snapper, an Adreno 510 GPU, and a fingerprint sensor. As you can see from the hardware, the Mi Max fits firmly into the mid-range section of the smartphone market. Prices in China range from RMB 1499 ($230) for the lowest-spec model to RMB 1999 ($307) for the Snapdragon 652/4GB RAM/128 GB memory version. In addition to the Mi Max, Xiaomi has also revealed the latest incarnation of its MIUI custom Android operating system. MIUI 8 introduces abilities such as splitting a phone into two separate accounts, app cloning, and a host of other additions and refreshed designs. It enters beta-testing in China on June 1. All Mi, Redmi, and Mi Note models starting from the Mi 2 will support MIUI 8.